The Valor Portrait Series offers a diverse collection of adaptive fireplace fronts complementing both traditional and contemporary room settings. Installation possibilities become vast and welcome your architectural and interior design inspirations.Crafted with detail and inspired by classic design, the President Freestanding Stove is perfect for upgrading traditional spaces. Projecting a mere 13 inches into the room, the President leaves plenty of space for additional home styling and decor. Capable of both top and rear vent applications, the President shows great freestanding as well as tight against an exterior wall. 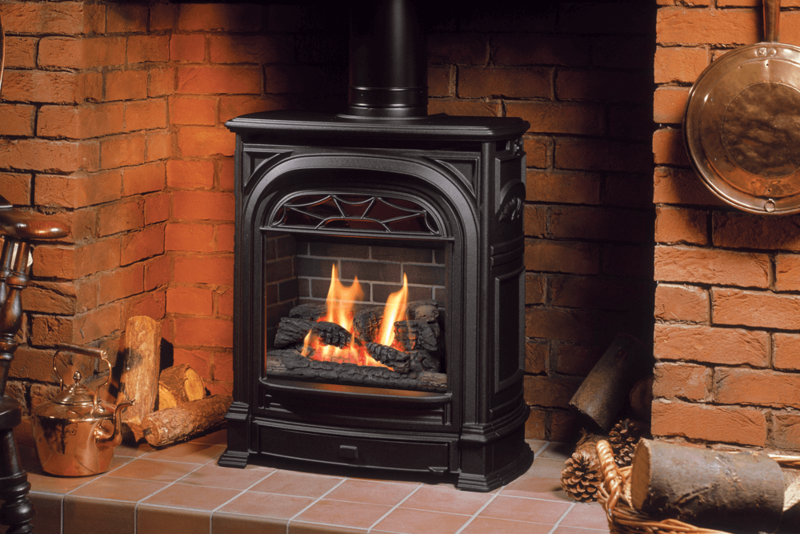 Solid cast iron encases a proven Valor Portrait engine, assured to provide warmth and comfort for many years to come. Classic design, Capable of both top and rear vent applications.